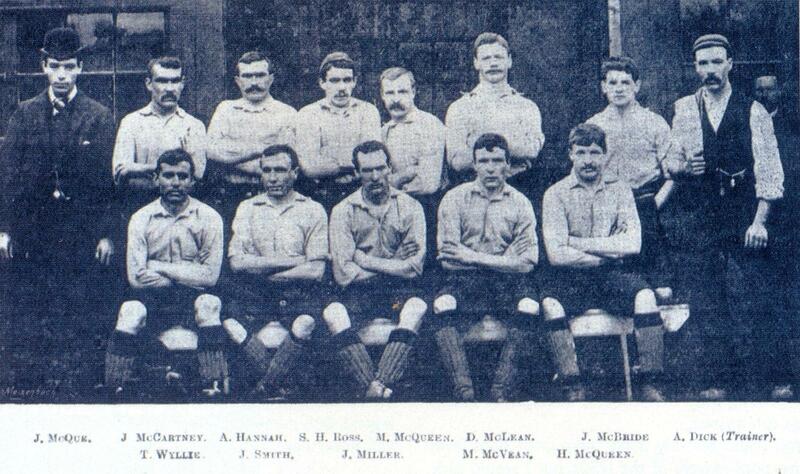 Four LFC Macs - LFChistory - Stats galore for Liverpool FC! 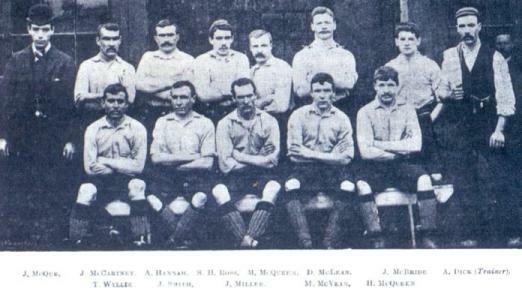 The team of the Macs back in 1892-93. John Martin picks out four other Macs from later in Liverpool's history. Those of us who have had the good fortune to have been supporters of Liverpool over the past 4 decades have enjoyed the entertainment provided by a succession of outstanding international stars. My own connection with our club stems back to the late forties and I count myself fortunate to have seen the bulk of the career of the player who, in my opinion, has been at least as good as any who have followed. To those of my generation few will dispute that Billy Liddell was our greatest ever player. Billy only ever won one senior medal and that was the one he picked up when we won the first post-war League Championship in 1947. He spent the rest of his career (which had started as an apprentice just before the outbreak of World War II) battling almost single-handedly to first of all keep the club in the First Division and, when his heroic efforts proved to be unsuccessful, to ensure that we weren’t relegated to the old Third Division. Had we not had Billy during those pre Shankly days it is indisputable that we would have been relegated and it is, therefore, arguable that Billy played as important a role in Liverpool’s re-birth as the great Shanks himself. By the time one great Bill arrived (just in time) the sad fact was that the other one was fast approaching the end of his career and sadly Liddell played little part in Shanks’ revolution which led us to the glories that have followed. If Billy Liddell was our first post war super star (and his own innate modesty would have disputed that) we have been privileged to have been entertained by a succession of international glitterati during the ensuing 4 decades. Shankly’s first signings were of players of whom most of us were unaware, but Ron Yeats and Ian St John soon proved that he knew what he was about and those two proved to be the fulcrum around which the promotion side was built. Once promotion was achieved the impetus increased and top players were eager to join the Liverpool bandwagon. Roger Hunt (or ‘Sir’ Roger, as he became) was already at the club when Shanks arrived, as were Ian Callaghan and Gerry Byrne and they went on to be integral parts of England’s World Cup winning side. Soon we had internationals in almost every position. Ray Clemence, Phil Neal, Tommy Smith, Emlyn Hughes, Phil Thompson, Peter Thompson and then Kevin Keegan all played for England during the late sixties/early seventies and then our horizons broadened and we had star players from all of the British Isles and further afield. The list of superstars probably starts with Keegan and then progresses through Dalglish (another undubbed knight), Rush, Hansen, Lawrenson, Barnes, Fowler, Owen, Carragher and Stevie G – with at least a dozen others as well. But it is a quartet of players who didn’t quite make superstar status that has appealed to me and all of them are Mc’s. By my reckoning there have been 44 players who have represented Liverpool whose surname has been prefaced Mc, some more accomplished than others. I am not qualified to pass opinion on those who played before the 2nd World War but of those who have played since I would suggest that 4 of them were as popular with the fans as any other quartet that could be produced. Terry McDermott, Steve McMahon, Steve McManaman and Gary McAllister represented everything that fans look for in their team’s performance. All of them gave 100% for every minute they were on the pitch, all had skill well beyond what was perceived by those not fortunate enough to watch them week in and week out and the total amount that Liverpool paid for them would barely cover the annual wage of an average Premier League player. 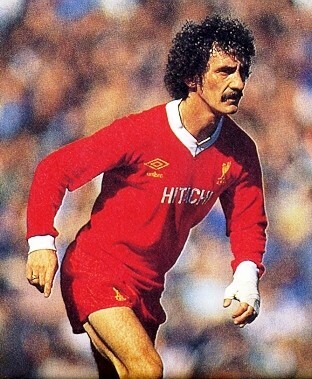 Terry McDermott was an out and out scouser who was born in Kirkby but whose soccer skills were first recognised by Bury and then by Newcastle. He played alongside Alan Kennedy for Newcastle against the Reds in the 1974 FA Cup Final, a final that has been generally accepted to have been just about the most one sided in the history of the competition. Liverpool’s 3-0 victory hardly reflected the gulf between the teams. Our celebrations at winning the cup (for only the second time) were rudely interrupted by the announcement later that summer of Bill Shankly’s retirement. That event provoked far more media coverage and far more anguish for the fans than the recent departure from Chelsea of Jose Mourinho, who came to London at the behest of a megalomaniacal Russian oligarch and spent as much money as he wanted to construct a team that had domestic success but no respect. Shanks spent 15 years (but not a lot of money) constructing not only two great teams but a dynasty that has lasted ever since and is being extended by Rafa Benitez. Famously, his last signing (Ray Kennedy) was announced on the day that he relinquished his role as manager. Kennedy became, almost inevitably, a major success at Anfield although it took Bob Paisley’s sublime skill at reading a players ability to transfer him from being a good centre forward with Arsenal to a truly great midfielder for Liverpool. Paisley’s elevation to the manager’s office meant that he had to make the signings himself instead of just recommending them to Shanks and his first one was back-up goalkeeper Peter McDonnell from Bury, who never played in the first team but apparently earned a European Cup winners medal through being the reserve keeper in Rome in 1977. His second signing was Phil Neal, who deserves far more eulogies than I am qualified to give as a result of his achievements for LFC. His third acquisition was Terence McDermott from Newcastle who, I must admit, had made little impression on me during the earlier annihilation of the Geordies at Wembley. Not for the last time Bob showed his ability at analysing a player’s skills and McDermott was to prove over the next eight years that he was one of Liverpool’s finest ever players. He played 329 games and scored 81 goals, some of them tap-ins and some that have gone down in the club’s history. It is debatable whether he will be best remembered for scoring the opening goal in the never-to-be-forgotten triumph in Rome in 1977 or for putting the finishing touch to what must surely be the finest team goal ever scored at Anfield when he ran the length of the pitch to head the seventh goal in the rout of Tottenham Hotspur in 1978. To my personal chagrin I missed that game as I was playing cricket in Essex that day. However I remember another memorable goal that he scored against Spurs in the FA Cup in 1980. I had gone down to the game without a ticket and had fallen under the spell of a tout who assured me that the ticket that he was offering me was “the crème-de-la-crème” – almost the best seat in the ground. I paid about three times the face value to discover that I was on the back row of the stand in the very corner seat, just about as far from the pitch as it was possible to be. My annoyance with myself for having fallen for the tout’s blandishments was forgotten as Terry took a ball over his shoulder out on the right hand corner of the penalty box and hit a volley that curved into the far top corner of the net for the only goal of the game. Absolute magic. Terry’s goals were very much a bonus because he would have been any manager’s choice as a free running midfielder had he not had the ability to put the ball into the net as well. It is no secret that Terry enjoyed a pint (and I am pleased to say that I enjoyed a drink or two with him during his time at Anfield) but his phenomenal fitness and enthusiasm for the game, not to mention his footballing skill, ensured that he will be remembered as a true Anfield legend. When Kenny Dalglish inherited the manager’s role (during the chaos that occurred at the Heysel Stadium prior to the 1985 European Cup Final) he took over a team that had actually won nothing during the previous season (although it could be argued that getting to the final of Europe’s premier competition was hardly a failure on the part of Kenny’s predecessor, Joe Fagan). 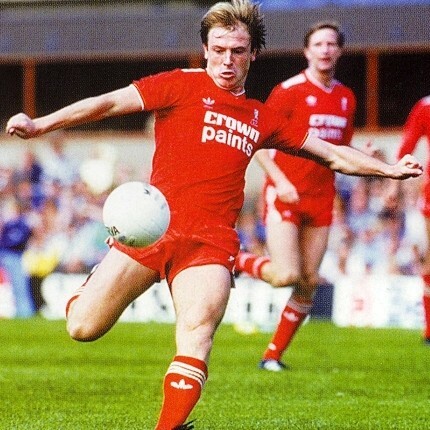 Kenny decided that he only needed one player to strengthen his squad and that player was Steve McMahon, previously of Everton and Aston Villa. Rarely has a player justified a manager’s judgement as comprehensively as McMahon did. He was never a McDermott type of player, preferring to play through the middle and he proved a more than capable replacement for the player we all thought was irreplaceable – Graeme Souness. McMahon’s contributions to Liverpool’s successes during his time at Anfield are etched into supporters minds but there is one goal that was scored by John Aldridge against Arsenal that was the ultimate compliment to McMahon’s athleticism and footballing skill. With the score at 0-0 late in the first half a promising Liverpool move appeared to have finished when a pass from Ray Houghton was misdirected and seemed to be heading for the paddock. McMahon was having none of it and chased a seemingly lost cause. At full speed he put his foot on the ball to prevent it from going out of play before careering towards the paddock supporters. Somehow he contrived to stop himself from toppling into the crowd, regained his balance and control of the ball which he then took down the right wing before sliding a brilliant pass across to the onrushing Aldridge who scored the first of what was to prove to be a 2-0 victory. A magical moment and one that has enshrined McMahon’s name into the Anfield Hall of Fame. It also turned out to be a sad occasion as the game marked the end of Mark Lawrenson’s illustrious Anfield career. We've got all the results from official games, appearance stats, goal stats and basically every conceivable statistic from 1892 to the present, every single line-up and substitutions!